The FDDI frame format is similar to the format of a Token Ring frame. FDDI frames can be as large as 4500 bytes. There is a token and a data frame format. Figures D-15 and D-16 show these formats. • Preamble—Used to prepare a station for an incoming frame. • SD (starting delimiter)—Used to indicate that an incoming frame follows. • FC (frame control)—Contains control information. Used to indicate whether this is a data or token frame. • DA (destination address)—Contains the 48-bit MAC layer destination address. • SA (source address)—Contains the 48-bit MAC layer source address. • Data—Contains upper-layer protocol information. • FCS (frame check sequence)—Contains the CRC to verify for frame errors. • ED (end delimiter)—Indicates the end of the frame. • FS (frame status)—Used by the source station to determine whether the frame was copied by the destination or whether errors occurred. This appendix covers Ethernet, Fast Ethernet, Gigabit Ethernet, Token Ring, and FDDI. The frame formats of these LAN technologies and their scalability specifications are reviewed. 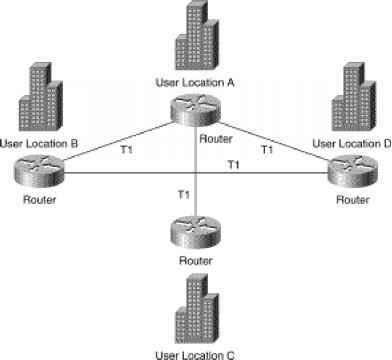 This appendix is an excerpt from the Small and Medium Business Solution Guide, which is located at www.cisco.com/univercd/cc/td/doc/product/smbsolg/smb_st.htm on the CCO Web site. It has been edited slightly so that it can be presented here in book format. Some sales-oriented information has been omitted. What composes a fddi frame format?